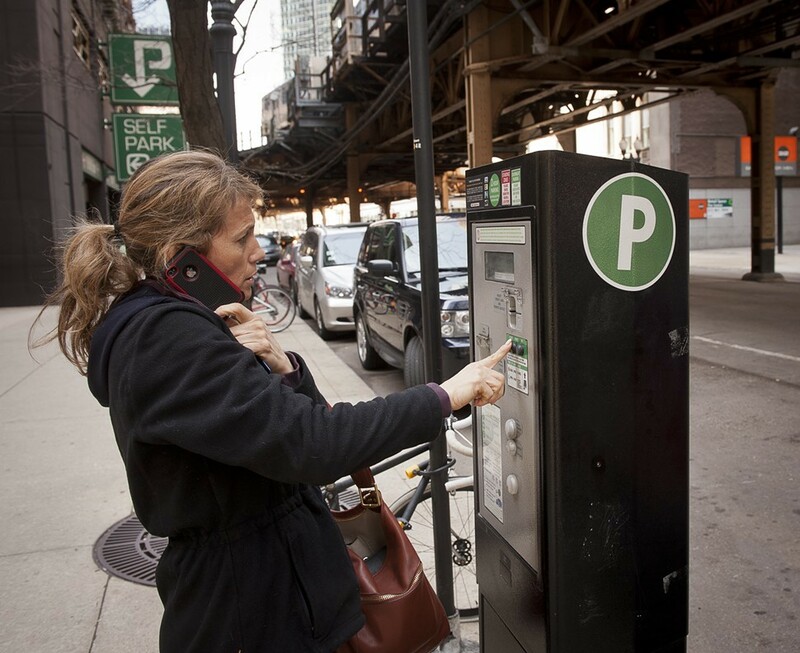 Private investors continue to collect millions of dollars a year from Chicago's parking meter system. The private company that controls Chicago's parking meter system had another banner year in 2013, raking in $135.6 million in revenues from the public, according to an annual audit posted Friday afternoon on the city's website. In 2008, the last year the city kept the money from the meters, revenues were $23.8 million, about a sixth as much as in 2013. "That's staggering," says Alderman Scott Waguespack, the most outspoken critic of the deal since it was forged in 2008. "It's one of these things you just look at and say, 'Why, why, why.'" Last summer the City Council approved a slightly revised version of the deal that extended meter hours in return for free Sunday parking in some parts of the city. Mayor Rahm Emanuel predicted that it would ease the burden on the public. "I am proud to say that on behalf of the taxpayers of Chicago, we were able to successfully reach agreement with CPM to make some necessary and positive changes to this contract." The mayor was right in the short run, at least. The audit shows that total revenues for Chicago Parking Meters LLC dipped slightly from the $139.5 million reported for 2012, though the cold weather and other factors may have come into play. But the new agreement also ensured that the core of the deal will remain locked in place for seven more decades, and that annual proceeds will continue to flow to the investors behind Chicago Parking Meters, led by the investment bank Morgan Stanley. In addition, the city has since announced that it's doing away with free Sunday parking in some neighborhoods after opposition from businesses who say they need parking space turnover. That should help CPM's income stream next year. Overall the investors are in better shape by the year. In 2013, in addition to seeing the meter deal reapproved by aldermen, CPM settled some billing disputes with the city and saw its expenses drop significantly. As a result, its net income more than doubled, from $20.6 million in 2012 to $43.6 million last year. In exchange for turning over the meters for 75 years, the city took $1.16 billion in cash up front, then spent almost all of it in the first couple years. In the time since, the city's credit rating has dropped as it navigates financial woes, including tens of billions of dollars in unfunded pension obligations. In contrast, CPM issued $600 million in bonds in 2010 and appears to be on pace to recoup its investment within the first two decades of the deal. Clint Krislov, an attorney who challenged the legality of the meter deal in court, says it's clear that CPM is in possession of a reliable moneymaker. "It's almost as predictable as the fact that winter in Chicago will be cold." The mayor's office did not respond to multiple messages. The mayor did what he does best: avoid reality and praise himself.